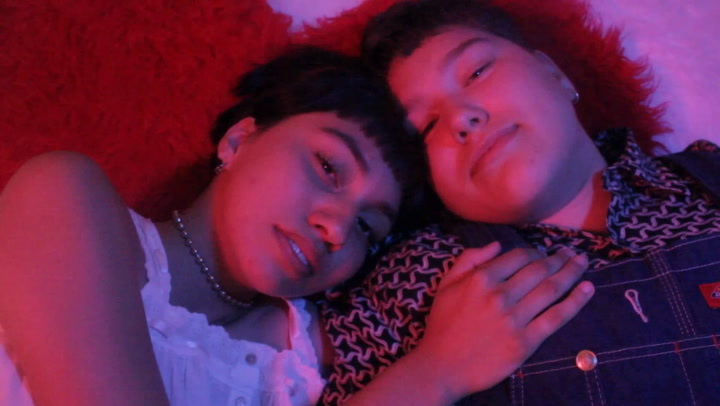 There is a stigma around young queer love, that it is simply “just a phase” or “experimenting.” And that invalidates the romance we should all be able to experience. I wanted the queer community to recall the first time they fell in love, and all the emotions that encompassed that. The fullness, the butterflies, the anxiety in wondering if they love you too. I felt that this series needed to be made for the queer person that is googling “how to know when you’re in love.” Do we ever really know it’s love the first time? We are told, “you’ll know.” But it’s definitely helpful to look to others’ experiences and compare. It turns out that almost everyone has some weird momento from their first love—something like a ticket stub, a pin, or maybe a piece of jewelry. A big, big feeling becomes just a tiny object in the back of your closet. This photo series is for those who have already googled their love symptoms. It’s for the person who can reflect and see how that love shaped the person they are today, or to just look back on the time spent and indulge in some nostalgia...but not too much.